In the very near future, robots will become an indispensable tool that man can’t live without. Just like computers, it will do complicated and challenging tasks thus making things a lot easier for all of us. We all know that majority of personal computers are still running Microsoft Windows operating system and that the year of the Linux desktop is still far from reality. However, many experts believe that in the field of Robotics, it’s going to be a whole different ball game. Soon, Linux-powered robots will dominate the market and will lead the new age of technology. At the moment, there are already different kinds of robots that run on Linux. Though less powerful and not as talented as the robots that we’ve seen in movies, they are already capable of doing some basic to complex chores; from lifting heavy equipments to thinking on their own and learning from its environment. 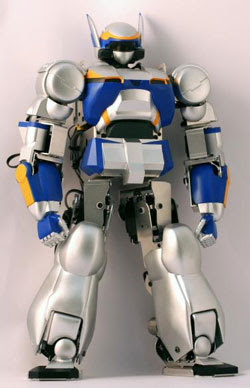 A low-cost, user-programmable humanoid robot targeting educational and research applications, the HRP-2m Choromet was created by four companies, and uses technology from Japan's National Institute of Advanced Industrial Science and Technology (AIST). It is user-programmable thanks to open software running on a user-space real-time Linux implementation. The Aldebaran Nao is a Linux-powered humanoid robot that also runs software from the open source Universal Real-time Behaviour Interface (URBI) project, enabling users to program Nao's behavior, emotional expressions, speech synthesizer, and collect data from its onboard video camera and other sensors. 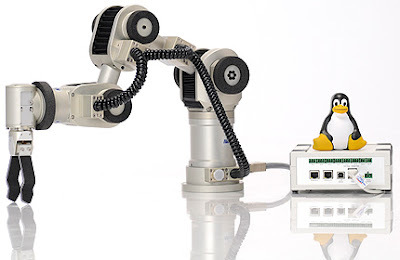 Neuronics's Katana Robotic Arm is aimed at industry, production, and research applications, and runs Linux with Xenomai hard real time extensions on a Freescale MPC5200-based control board. 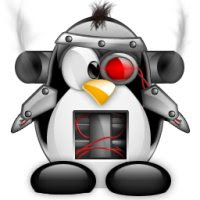 More Linux-powered robots can be found HERE.